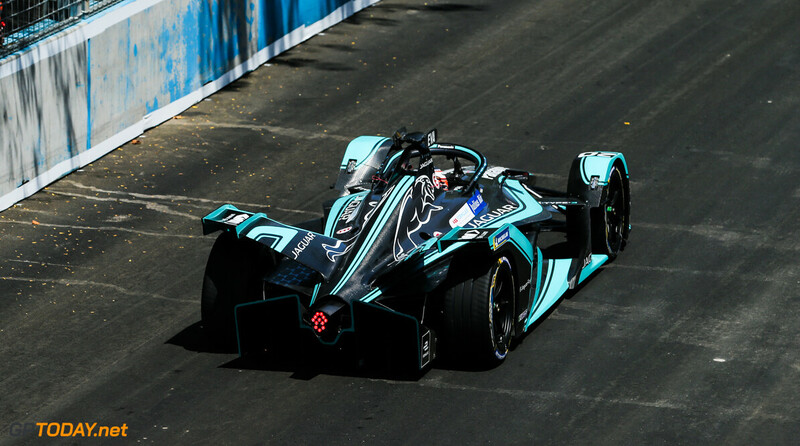 Mitch Evans and Jaguar took their first win in the ABB Formula E championship in Rome, as he held off Andre Lotterer in the final laps of the race. Lotterer, who started from pole position, held his lead off the line but found himself under attack from Evans later on in the race, who started the ePrix alongside him on the front row. There was a major delay after the first lap, as a big pile-up was caused by Jose Maria Lopez. The Argentine crashed on his own which caused a blocked track, with a following red flag period lasting almost an hour. When the action resumed, Evans hounded Lotterer for the lead while Stoffel Vandoorne ran close behind in third place. With 16 minutes plus one lap remaining in the race Evans overtook Lotterer in a bold move, with the two making slight contact in the process. Lotterer attempted to move attack mode to come back at the Australian, which put Evans in a predicament, as with 3 minutes of the race remaining, he still had to go through the attack mode line once more. He attempted to do so but must the activation, which allowed Lotterer to close up even further. On the next lap, he tried again and stayed ahead, but had to slow down in order to reduce the race by one racing lap due to his diminishing battery levels. Vandoorne managed to secure the first podium of his Formula E career, after a tough start to the season. Robin Frijns was fourth, ahead of Sebastien Buemi in the Nissan. The Swiss' teammate Oliver Rowland was sixth, heading Lucas Di Grassi. Despite a low scoring points position of eighth, Jerome D'Ambrosio still retains the lead of the drivers' championship. He crossed the line in front of Antonio Felix da Costa, while Pascal Wehrlein rounded out the top ten.